Many borrowers attempt to secure loans with minimal down payment requirements, but paying more money up front can have numerous advantages. Putting forth a large sum for a down payment will save borrowers thousands of dollars of accrued interest over the course of the loan term, especially with longer mortgages such as the 30-year fixed-rate mortgage. With a smaller initial loan balance, the cost of interest will be noticeably reduced, and the loan will ultimately cost less to secure. By putting more money down, borrowers assume more of the risk involved in the loan process, allowing lenders to offer better interest rates. Basically, the larger the down payment, the less risk presented to a lender and consequently the lower the interest rates. Borrowers with poor or damaged credit may also benefit from a strategic down payment. Borrowers with lower credit receive offer for high-interest rates due to the risk which they pose to lenders. With a larger down payment, bad credit borrowers reduce their riskiness, and lenders can offer decent mortgage rates, regardless of credit score. For borrowers with conventional mortgages, making a substantial down payment can provide a way to avoid paying for mortgage insurance. To do so, borrowers must have a loan-to-value ratio (LTV) of 80%, meaning that borrowers must make a down payment of at least 20% of the total home price. While this may seem like quite an expense, private mortgage insurance can add a considerable cost to mortgage loans and is solely for the benefit of lenders for protection against default. Many borrowers simply cannot afford to put forth a large sum of money for a down payment. With other fees to consider, including the various closing costs, and rising home prices, this has become an increasingly common issue. Loans insured by the Federal Housing Administration (FHA) and the Department of Veteran Affairs (VA) provide much better financing options for borrowers planning on making a small down payment. For instance, FHA mortgages require only 3.5% of the total loan cost for a down payment. With lenient underwriting, FHA mortgages allow borrowers to secure competitive mortgage rates even with a minimal down payment. Additionally, VA-eligible borrowers can acquire VA mortgages with no down payment and inexpensive closing costs. In some cases, borrowers opt to secure a second mortgage in order to cover the down payment requirement of the original mortgage. While this can be a risky maneuver, borrowers who do some thorough and patient research may find advantageous deals. Essentially, borrowers secure an additional mortgage loan, either from the same or a different lender, and use these funds to make the 20% required down payment to circumvent mortgage insurance. 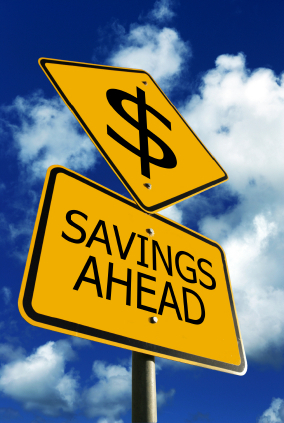 Depending on the home prices in your area, saving for a down payment could take some time, although if you can manage to bide your time and save up, you can save a significant amount of money in the long run. Additionally, you can avoid the hassle and risk of making two separate mortgage payments. However, waiting could cost you a chance to take advantage of the historically low interest rates, so even this option is not without its drawbacks.